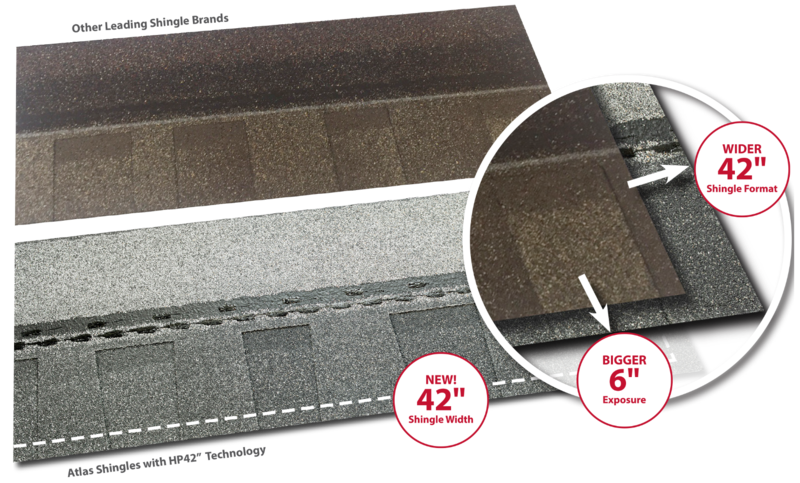 Bigger shingles are the smarter business choice.  Cover more roof area with fewer shingles – and fewer nails. Your crew can work more efficiently and be off the roof faster. A smoother install results in lower labor costs. 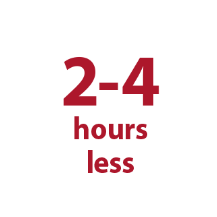 Working smarter saves time, labor and materials and adds up for your bottom line. 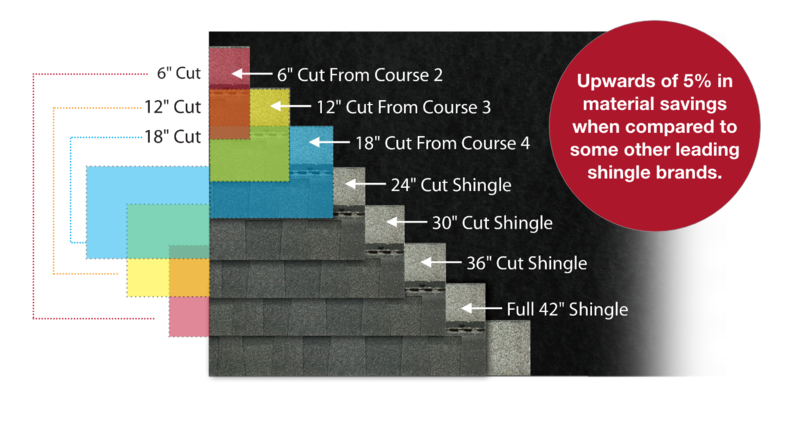 Comparison based on 40-square job: Average 21 shingles/bundle of other leading shingle brands. 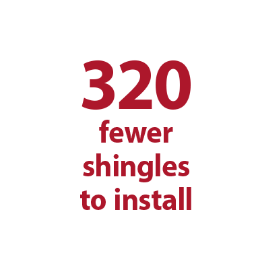 320 shingles is the equivalent of 5 squares of material. 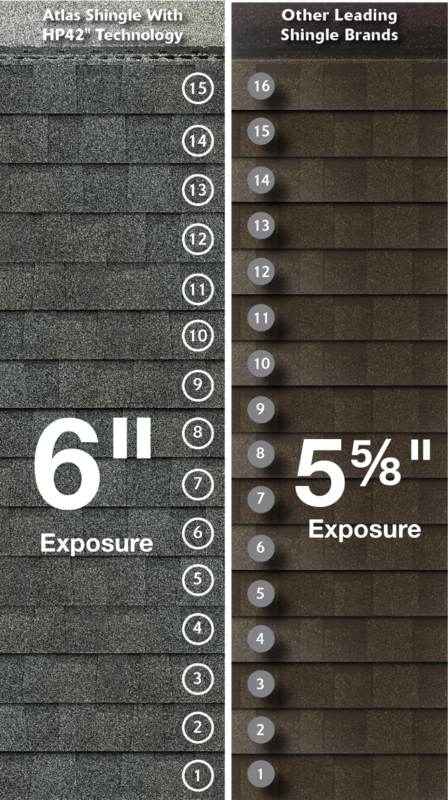 Contractor will not purchase 5 fewer squares, but will install fewer shingles due to larger shingle size, resulting in time savings. 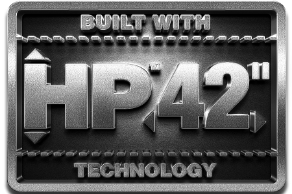 See for yourself how the HP42" shingle format stomps the competition. 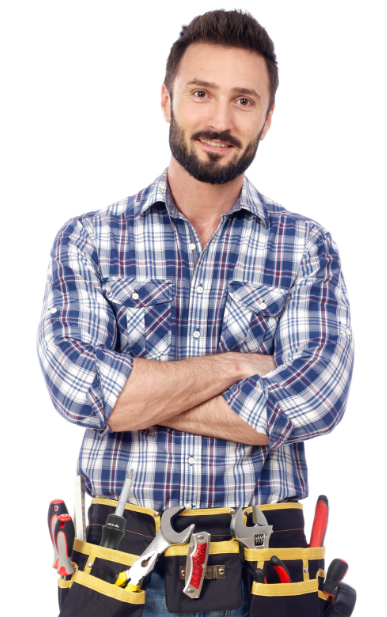 The Atlas Pro™ Plus Contractor Program is designed to help professional roofing contractors like you build your business, your brand and your bottom line. It gives you access to the tools and resources to showcase your expertise, increase your visibility and close more jobs. The 7 course, 6" offset with a larger 6" exposure means a faster install, quicker clean up, less waste and greater cost savings. 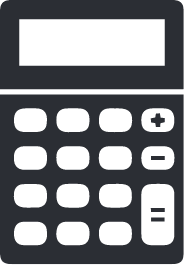 ...you've saved an entire course compared to other leading brands! 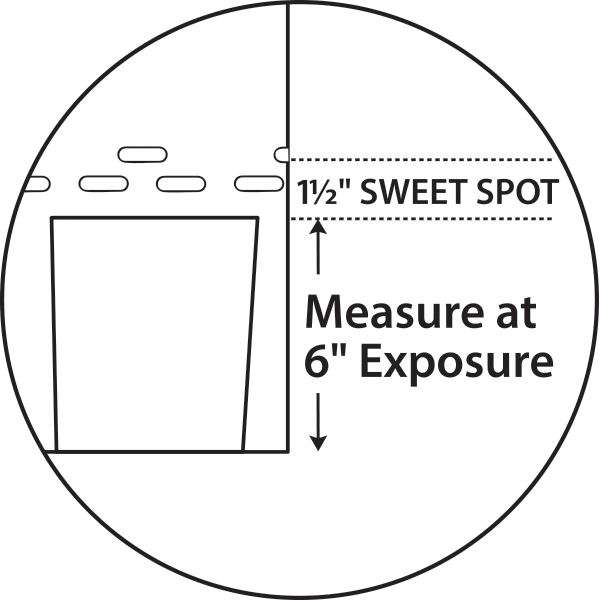 Enhanced 1½" Sweet Spot nailing area with 6" exposure helps you stay accurate and saves time. 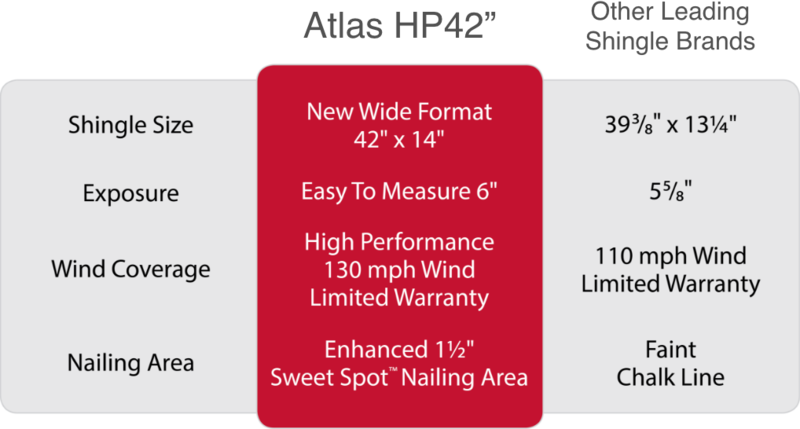 Learn more about Atlas shingles with HP42" Technology.